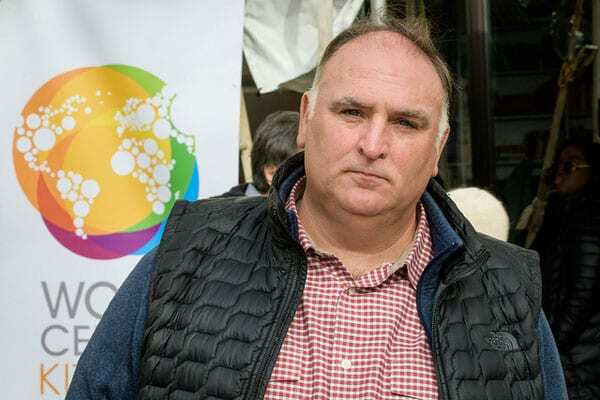 To mark the first anniversary of Hurricane Maria’s landfall in Puerto Rico, Chef José Andrés and his nonprofit World Central Kitchen (WCK) have launched a new initiative aimed at rebuilding the island’s agricultural economy and, importantly, making it less reliant on external support. In its first grantmaking cycle last fall, “Plow to Plate” awarded more than $540,000 in grants to small farmers and food-related entrepreneurs in Puerto Rico. And after an announcement last week that the Clinton Global Initiative has made a $2 million commitment to the project—which WCK will match—the initiative is poised for significant growth. WCK executive director Nate Mook said Plow to Plate expects to invest most of that $4 million into 213 small farms and other food-related businesses—all described as “smallholder” operations—over the next five years, as reported in the Washington Post. A portion of the funding will go toward training in agricultural and business skills, as well as to supporting an agritourism program that will deliver much-needed volunteer support to local farms as the island continues to rebuild and recover from the devastation of Maria. When NPQ last reported on Chef José Andrés, he had just published a book with Richard Wolffe, titled We Fed an Island: The True Story of Rebuilding Puerto Rico, One Meal at a Time. Since then, the celebrity chef and humanitarian champion of food justice has been quite busy—along with the vast global network of chefs and volunteers that support the work of WCK. They’ve fed first responders and residents affected by Hurricane Florence; set up several mobile operations in California during the devastating 2018 wildfires; mobilized food relief efforts following the tsunami in Indonesia; organized Chefs for Feds to provide hundreds of thousands of meals to furloughed and unpaid federal workers during the partial government shutdown; and they continue to serve up food and hospitality to asylum seekers near the U.S. border in Tijuana. In the midst of these non-stop food relief efforts, last November Andrés was nominated for the 2019 Nobel Peace Prize. While the day-to-day work of WCK has escalated in recent months, Andrés clearly has made it a priority to keep focusing on Puerto Rico—not only to ensure hungry people are being fed, but also to ensure that the island’s farmers and food businesses apply the lessons learned during and after Maria. Those lessons mean coming to terms with Puerto Rico’s over-reliance not only on food relief efforts orchestrated by others, but also on the realities of how food-vulnerable the island is even during good times, let alone when it cannot receive shipments of food by sea or by air during a natural disaster. During and after World War II, the US territory decided that, to jump-start its faltering economy, the island needed to move away from agriculture (one rooted in sugar cane and an archaic plantation system) and instead invest in manufacturing. People soon abandoned the countryside, where agriculture was considered peasant work, and moved to the cities. Or they left the island altogether. As a result, by the time Maria made landfall, Puerto Rico was importing about 85 percent of its food and relying heavily on the mainland United States for meats, dairy, vegetables and more. The quality of these products could be low, and the prices high.